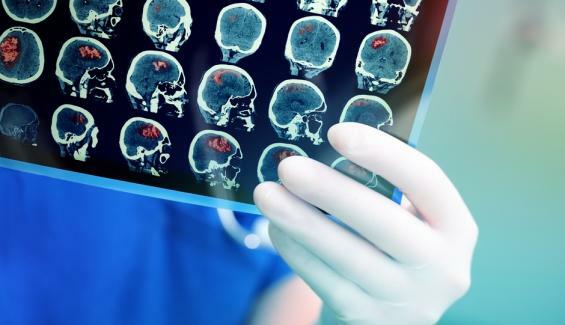 A group of researchers led by UNSW Sydney has developed a new gene therapy that may reverse the devastating symptoms of brain disorders such as Canavan disease. Canavan disease is a rare, fatal genetic disorder in which an enzyme called aspartoacylase is not active. This enzyme breaks down the amino acid NAA in the body. In individuals with Canavan disease, NAA is not broken down and progressively damages the brain’s white matter and its ability to support cellular communication in the nervous system. Over time, this damage causes symptoms such as lack of motor skills, weak muscle tone, developmental delay and seizures. "In our previous study in rats with Canavan disease, we used gene therapy to restore aspartoacylase in brain cells called neurons, but the effects were very modest," said study leader Professor Matthias Klugmann from the Translational Neuroscience Facility in the School of Medical Sciences. "This is when we reasoned that there must be a better cell type in the brain that we can target. "Employing genetic engineering in mice, we found that other brain cells called oligodendrocytes are the only brain cells that normally make aspartoacylase, and that aspartoacylase in this cell type prevents brain damage by excess NAA. Therefore, we tailored the gene therapy around these cells. “The basic technology that we used to deliver a normal copy of the aspartoacylase gene to neurons has been around for two decades. But we have now developed it to limit the activity of the therapeutic aspartoacylase gene to oligodendrocyte cells." Lead author Dr Georg von Jonquieres, from the Translational Neuroscience Facility, said that in the study, the research team treated mice with symptoms of Canavan disease with the new gene therapy. When they took a magnetic resonance scan of the brains and tested their motor and behavioural skills, they found that the therapy reversed the disease symptoms. Professor Klugmann said the researchers chose Canavan disease to test the gene therapy but in the long-term, this technology could also be adapted to treat different leukodystrophies, which are inherited disorders whereby the brain’s white matter is similarly affected. The study was published in the journal Acta Neuropathologica and funded by the National Health & Medical Research Council, the Australian Research Council, the European Leukodystrophy Association and the European Commission.